It’s so wrong yet so adorable. 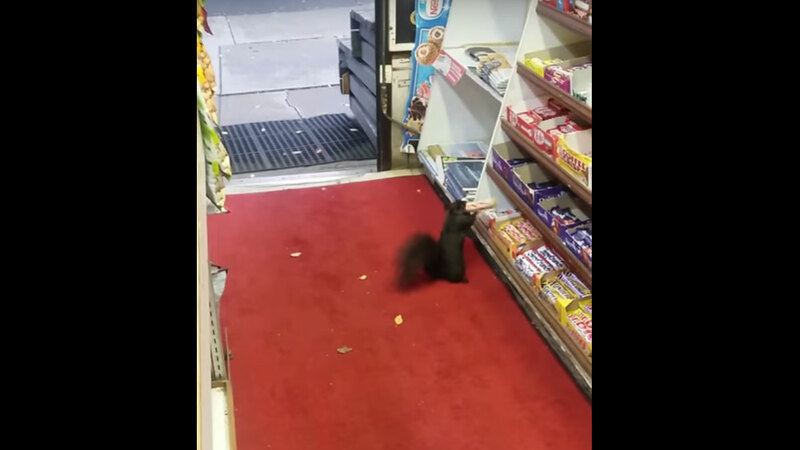 A convenience store in Canada has a rodent problem, but not the kind you would expect. 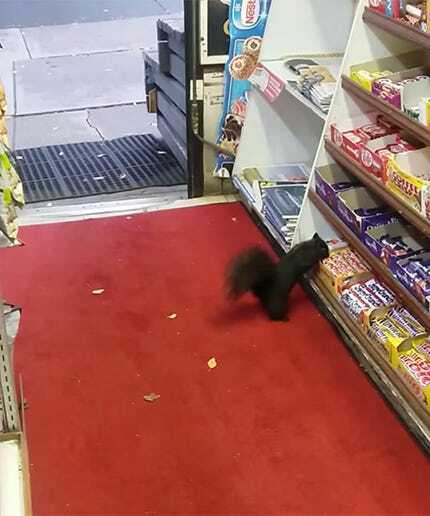 Juliet and Paul Kim – who own Luke’s Grocery in Toronto – have been watching squirrels sneak off with candy for years. Cindy adds: “I think we’ve lost up to . . . 48-ish bars this fall season. 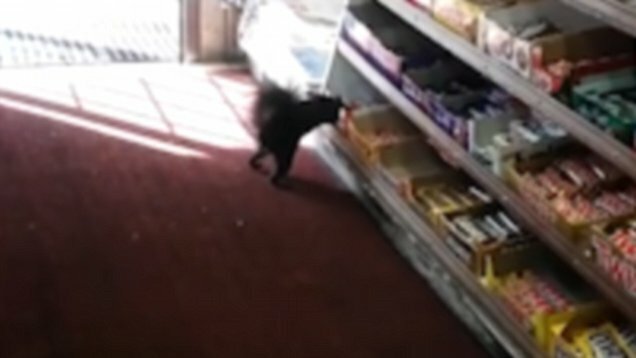 That’s an extremely rough estimate, though, because we have no way of knowing when we’ve been robbed – they’re very sneaky.” The family started recording the charming crimes on camera, and now there’s a YouTube video of a tiny thief waltzing into the store, grabbing the candy bar and running out of there before it gets caught. And while most people think the furry bandits are cute, the Kims wholeheartedly disagree. They are reportedly losing up to five dollars a day due to thefts, so Cindy posted about the problem on Reddit, hoping to get some advice.